In a quiet street off Farringdon in an unremarkable building called the London Metropolitan Archives – which I confess I had never heard of before – a remarkable document is on display. It is dated 10 March 1612 and it contains one of six surviving ‘authenticated’ signatures belonging to William Shakespeare. The document, under glass in a dimly lit room, is the deed of purchase of the only house Shakespeare ever bought in London, in Blackfriars, somewhere near where the Cockpit Pub now stands on the corner of St Andrews Hill and Ireland Yard. Shakespeare never actually lived in the house apparently and took out a mortgage on it that was still unpaid at his death two years later. 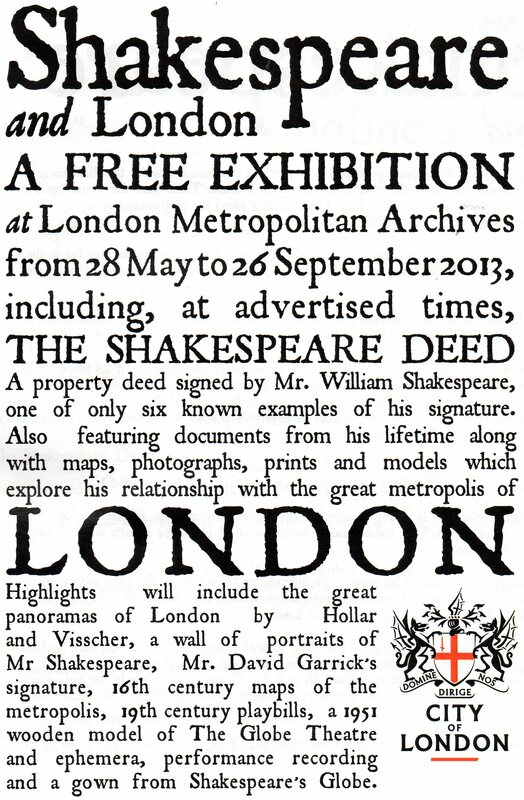 Shakespeare and London is the name of this small but fascinating exhibition running at the LMA until 26 September. 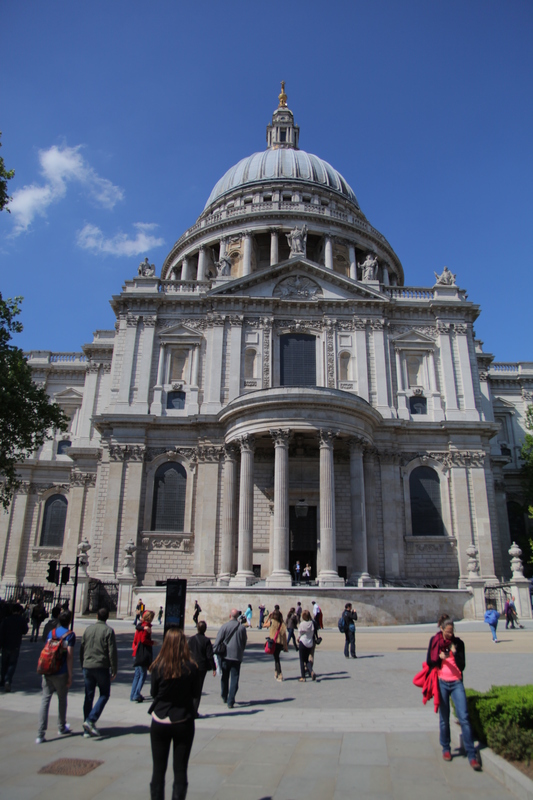 I found it quite by accident while googling ‘Shakespeare in London’ before taking my summer school students on a Shakespeare walk through the City and Bankside. As I explain at the start of the walk there actually isn’t anything directly relating to Shakespeare remaining in the City, thanks to the Great Fire and the Blitz, so it’s a bit of a ghost walk really: here is where Shakespeare probably lived, here is the cathedral that was not there in his lifetime, on this corner or thereabouts was the house he bought and this plaque commemorates the building that’s no longer there that housed one of the theatres Shakespeare worked at. A bit tenuous, you could say. But according to the London Metropolitan Archives Shakespeare’s spirit is alive and kicking all over this great metropolis. 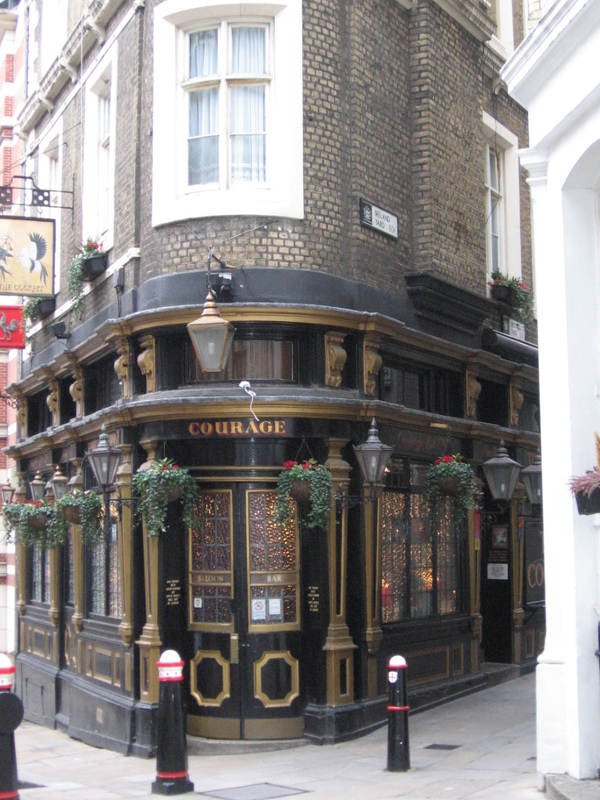 Apart from Lord Nelson and Winston Churchill there are more pubs in London named after Shakespeare than any other person. 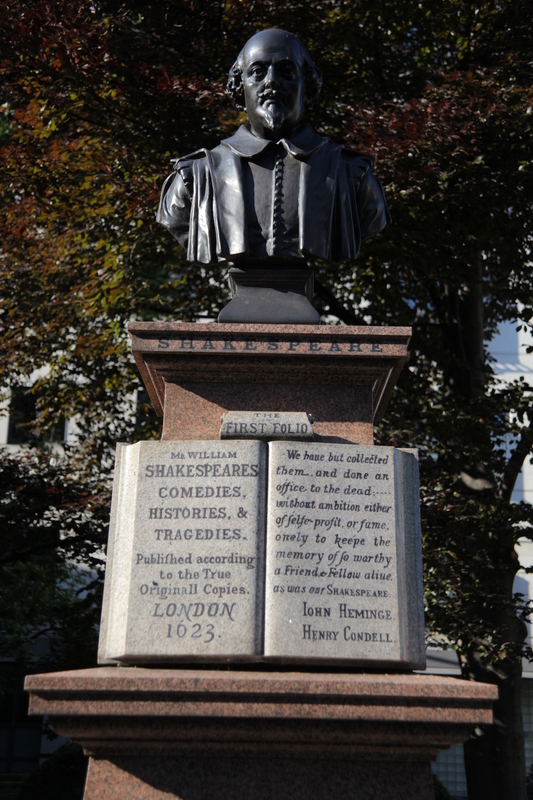 There are statues of Shakespeare in Westminster Abbey, Southwark Cathedral, Leicester Square and Love Lane, in the City. There are streets and buildings named after him, the newest and most famous of which is a replica of one of his original workplaces. 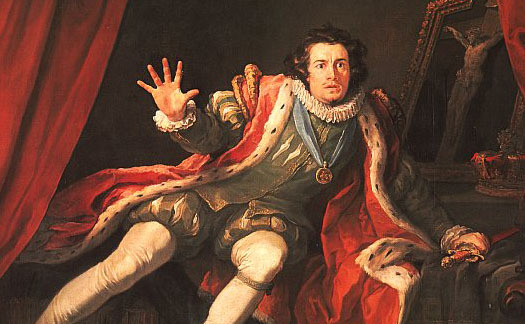 The LMA exhibition also contains a fascinating film about the building of the new Globe, original maps of 16th and 17th century London and Hogarth’s famous portrait of the actor David Garrick as Richard III. There is an entire wall of portraits of Shakespeare, only two of which ‘have traditionally been accepted as representing a true likeness’, since as the exhibition brochure points out ‘Surprising though it seems to our modern image conscious sensibilities, none of Shakespeare’s contemporaries left a written description of his physical appearance’. 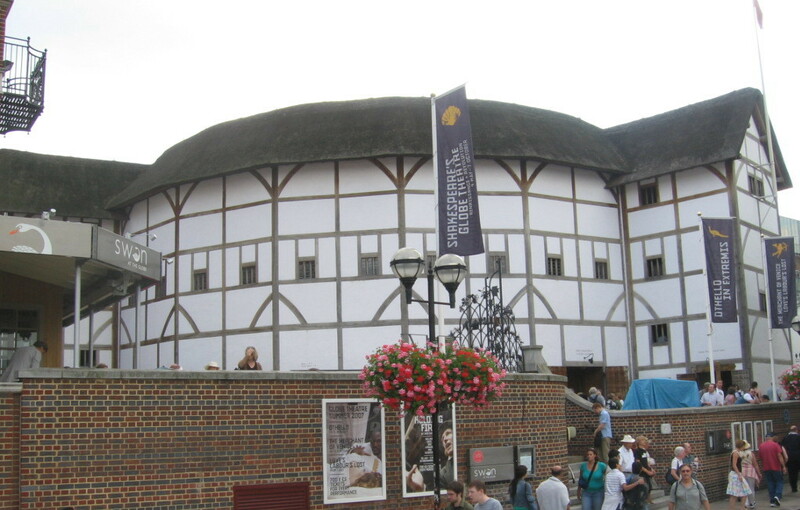 This entry was posted in Globe Theatre, London, London theatre tours, Shakespeare, Theatre, Theatre tours and tagged Condell, Cuthbert Burbage, David Garrick, Heminges, London Metropolitan Archives, Richard Burbage, Shakespeare and London. Bookmark the permalink.